The holidays are here and we can’t believe that 2014 is almost in the books. 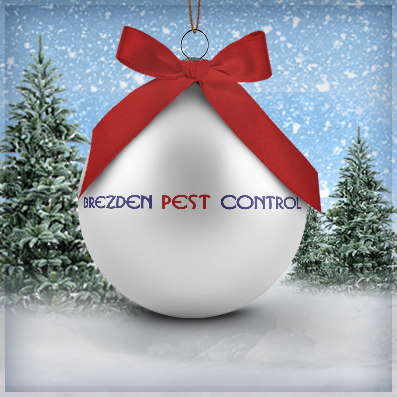 It’s been a great year here at Brezden Pest Control, as we’ve had the chance to meet a lot of new families who have relied on pest control services. As we move forward into 2015, we eagerly anticipate the new adventures that come our way. Before the New Year, we’d like to take the time to wish you and your family a very safe and happy holiday season. With the change in weather that will occur during the winter months, it’s quite normal for insects and pests to try and make their way into your home. Throw in all of the holiday cooking that you might be doing for family and friends in the coming months, and you are making your home an even more attractive destination for unwanted critters. 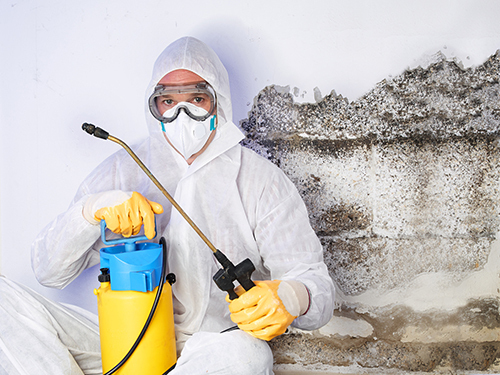 You never know what kind of germs or diseases that these pests may be carrying, which is why it’s important that you instead rely on a pest inspection company to assist you with their removal. However, there are a lot of local pest control companies who are vying for your service, which can make it difficult when finding the right one. Here are 4 tips for finding the best pest control company for your home, to ensure that unwanted visitors don’t find their way into your house this holiday season. One of the first things to look into when hiring a pest or rodent control company is their experience. Through their experience, you can get a better idea of how well they will be able to clean up your home or property. If you decide to work with any sort of pest, rodent, or ant control company, you want to ensure that they have the necessary experience to fix the issues that you are having. If not, then you may get stuck with services that you really don’t need. This can cause for bigger headaches, as well as further problems with the insects and rodents taking over your home. Whether you live in a sky rise apartment or on a farm spanning over hundreds of acres, you need to ensure that the company offers the services that you need. Some companies may specialize in rat control or other specific services, but not in what it is that you need. For example, if you need to get rid of larger animals, you want to find a company that specializes in dead animal removal. Not all companies provide this sort of service, which is why it’s important that you find exactly what it is that you are looking for. Ideally, you’ll find a company that specializes in a variety of services, which will come in handy in the future if you ever need them again. The price that you pay for pest control needs to be fair for your budget. In addition, if you run a business, then commercial pest control may be something that want to invest in, in order to keep future expenses down. With large-scale pest removal services, you can ensure that your entire property is safe and free from pests and other insects. You can also implement bird control and termite treatment services that will help to keep your entire property safe. No matter what you do, however, make sure that you diligently check prices and see what services are offered within your budget. You don’t have time to wait around for pests and insects to be removed from your home. That’s why you need to rely on a company that will provide quick turnaround for your home. If a company takes too long to finish their services, it can put a big damper on your day. Therefore, ask for timelines and work with a company that limits the amount of time they’ll be at your home or commercial property. Q: Are pests really a concern for my home or office? A: San Luis Obispo county is home to a variety of different pests, rodents, and small animals. And as great as they can be for the scenic and natural beauty of our community, they can be a hassle for your home. Keep an eye out for ants, termites, raccoons, mice, and even larger animals. If you have a problem with any of these pests, rely on a company to help you get rid of them. Q: Will the health of my family be at risk with pest treatment options? A: The methods that are used to protect your home are safe for your family. If there is any need for you to leave your home, you will be informed of this beforehand. However, this is typically only necessary in a situation where the pests that are taking over your home need more serious treatments. Have a pest-safe Holiday season!